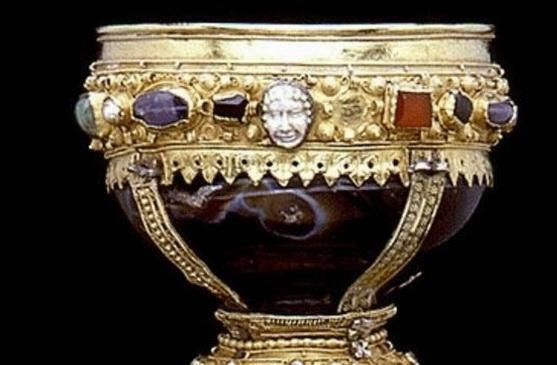 La copa de Doña Urraca - the Holy Grail? 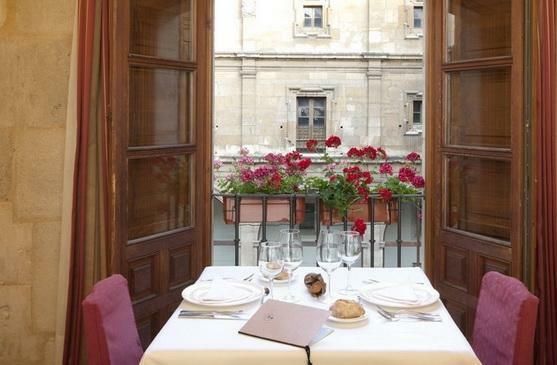 This very special hotel in a square in the Romantic Quarter in the heart of Leon, just a short walk to the magnificent Cathedral, is full of history and art. 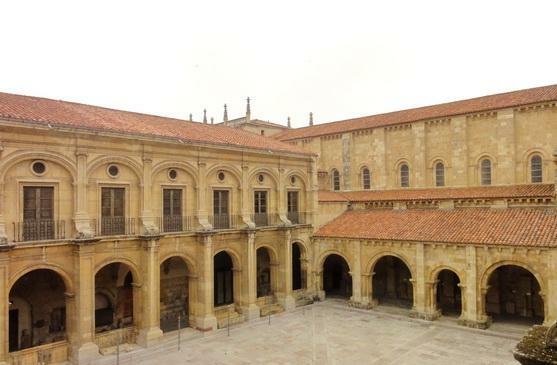 Forming part of the outstanding 11th century complex of the Real Colegiata de San Isidoro de Leon and the Panteon de Los Reyes with its amazingly vivid Romanesque frescos, amongst the best preserved anywhere, the hotel was at one time a monastery. 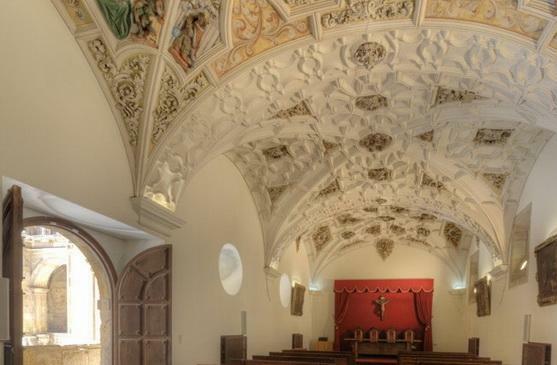 The monastery houses the Caliz de Doña Urraca, now thought by leading historians to be the authentic Holy Grail. A living monument, as you wander through its cloisters, you will feel that spirituality which has reigned over the years. It is quiet and nicely austere, but comfortable and light and well equipped for the modern world. Yet, stepping out onto the Roman walls at the back, the past will not evade you. The very friendly and helpful staff will make sure you are well looked after - a guided visit of the building will ensure your stay is a memorable one. Not a smart, luxurious hotel, but a "luxury" to stay there. 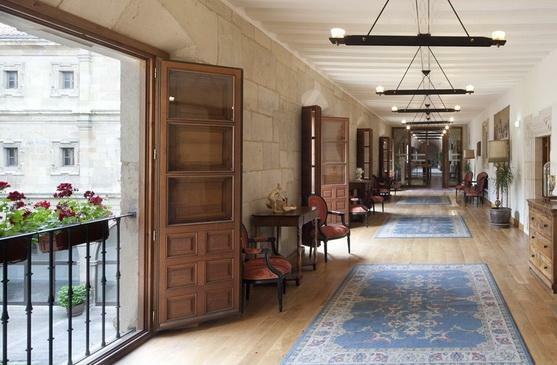 Special note: At 11.00 each day the hotel does a free tour of the Colegiata including the Royal Parthenon. Visit lasts about an hour and is not to be missed (the museum is not included but also worthwhile, and you get a 20% discount!). The hotel has 40 ensuite rooms - 10 superior doubles and 30 standard doubles and singles. All rooms are on the first and second floors. 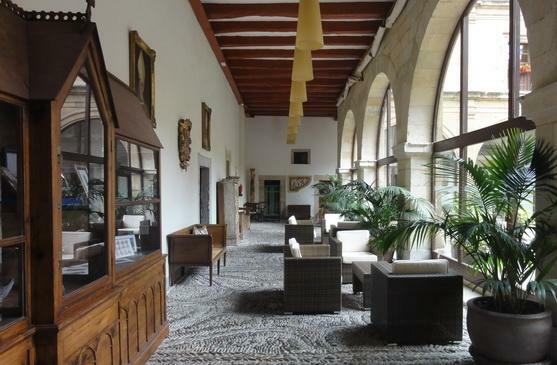 All have stone walls and views of either the Roman walls or the cloisters. All are equipped with desk, T.V., hairdryer and WIFI connection. 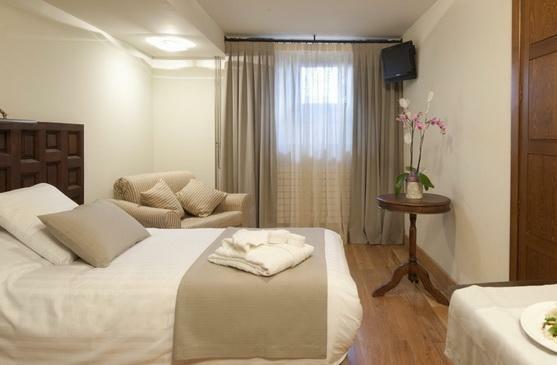 Decorated and furnished in a classic way in keeping with the style of the building, but all modern needs provided. Superior doubles (newly opened in 2017) are larger, with extra large double or twin beds (1 x 180cm or 2 x 135cm) and have sofas. There are also rooms for the disabled. Lounge areas on ground and first floors. Lift, WI-FI, 24 hour reception. Free parking in grounds. Access from the hotel to the Roman walls. Guided tour of the buildings. Holy Grail available for viewing! Restaurant (open to the public) on first floor. Traditional food from the region with innovative touches at affordable prices. Menu del Día and a la carte both available. Dinner is served from 19.00 - 22.30. Other options, a very short walk. 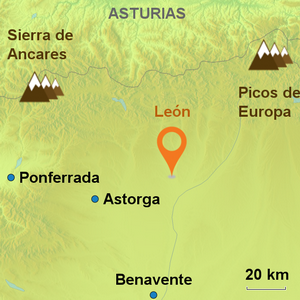 The monumental city of León on the Pilgrims´route to Santiago, had twenty four kings before Castilla even had laws! 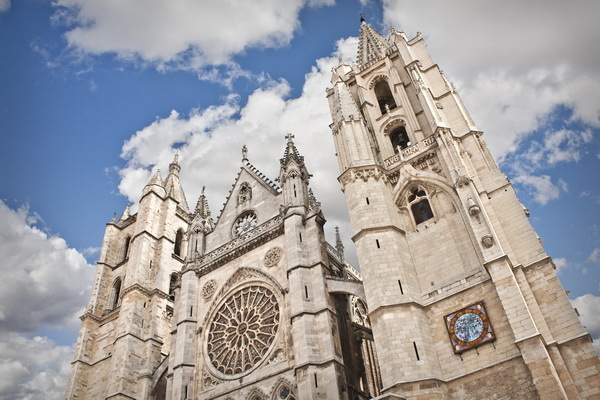 Apart from its amazing Gothic cathedral with its stunning stained glass windows which jump out at you with their special light, equal to those of Chartres, it boasts many other impressive monuments such as the romanesque Basilica de San Isidoro or La Casa de Los Botines designed by Gaudi in the 19th century. 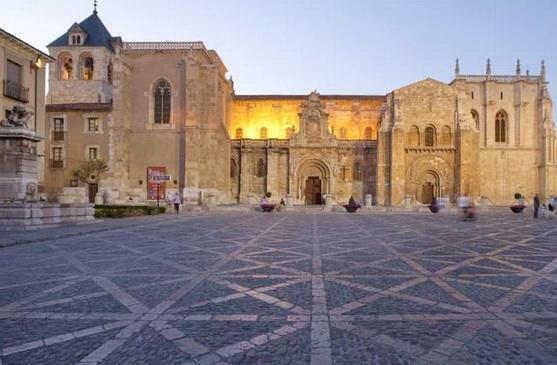 Apart from monuments León has a surprising lot to offer - excellent traditional gastronomy and wines, a very good choice of shops and a lively atmosphere especially at weekends. 1. Crossing point of the Camino de Santiago and Via de Plata. 2. Cathedral of Santa Maria - beautiful stained glass Rose Window. 3. 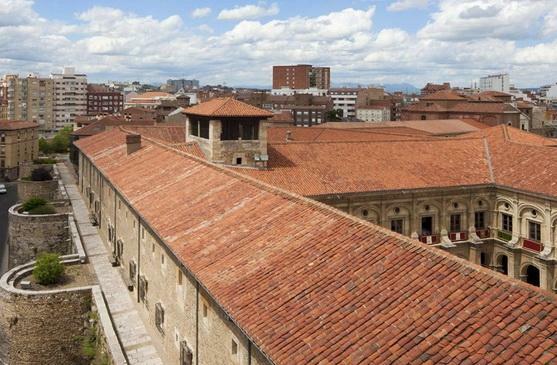 Hostal de San Marcos, whose history goes back to the 12th century and which at one time was used as a hospital for pilgrims, is now a hotel. 4. Palacio de los Guzmanes, built in the 16th century. 5. Tapas in la Zona Humeda, ‘the wet zone’, in the old-town. 6. 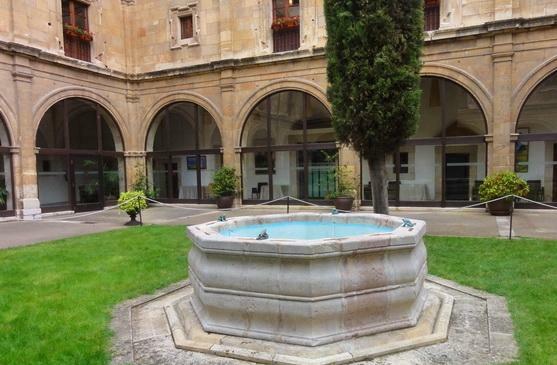 See the 'true' Holy Grail housed in the beautiful Colegiata de San Isidoro. 7. 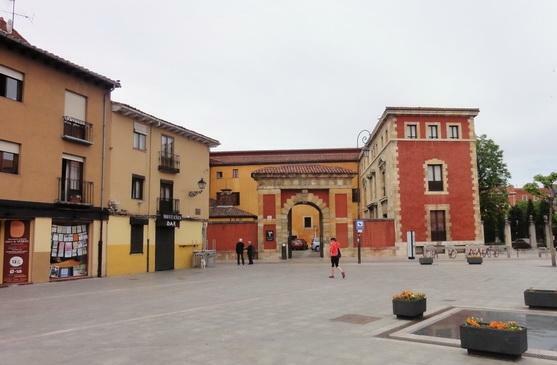 Take a trip to lovely Astorga with its Gaudi palace. Gatwick to Bilbao Vueling (BA). 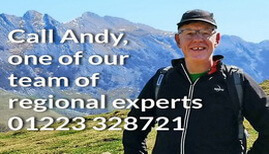 Flights are also available from most UK airports to Madrid. We can include the ferry crossings as part of the package.